This image is one of the most viewed in my online Gallery. 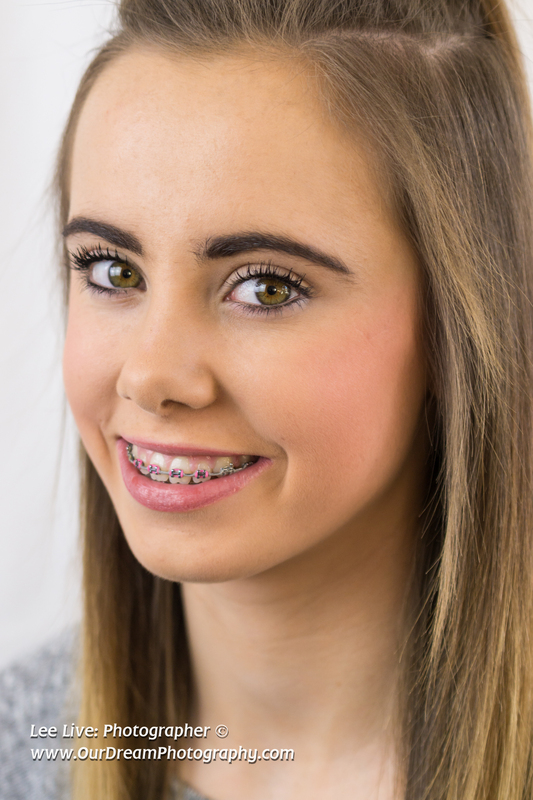 Permission was given by the girl's parents to have it made public - as she has so much confidence wearing braces. A real example to other children that they don't hinder your appearance. I set up a white backdrop for their family portraits. The room was well lit with lots of light coming from the french windows. So I only needed to add some extra studio lights to the background and to fill the shadows. The girl had a wee cousin who really didn't want to have her photograph taken so it took some over-the-shoulder funny-faces from her mother to get the laughs. The entire shoot lasted just two hours including setting up time. I was able to present the family with over 100 professional edited photographs in a couple of days for them to download from a password-protected online gallery.